Please find below a list of the major new features, new improvements and bug fixes in AODocs version 42. 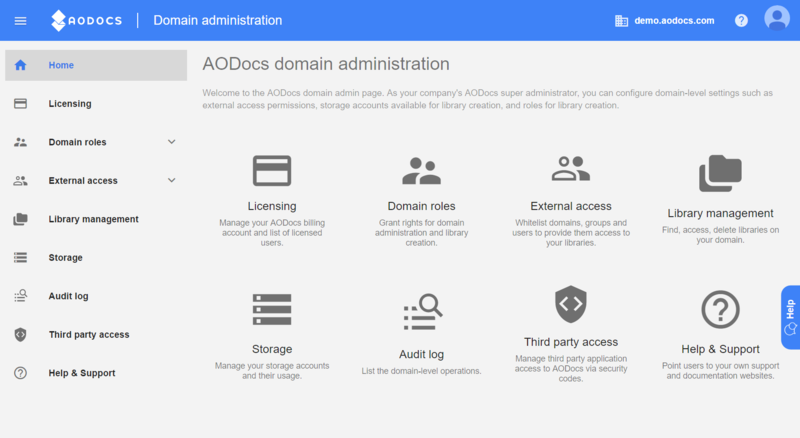 Important: To access the Domain Administration you need to be a super administrator. We are announcing a brand new Domain Administration homepage, separated from the library admin console. You can access it from the AODocs homepage or from a library homepage. With this new feature, get better control on what your viewers can download, copy or print. 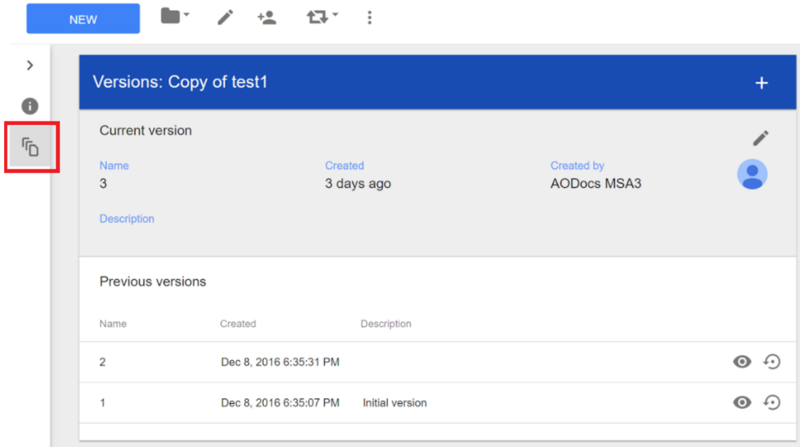 You can now apply Google Drive’s “prevent viewers from downloading, copying and editing” option to all AODocs documents in a folder, document class, or library. 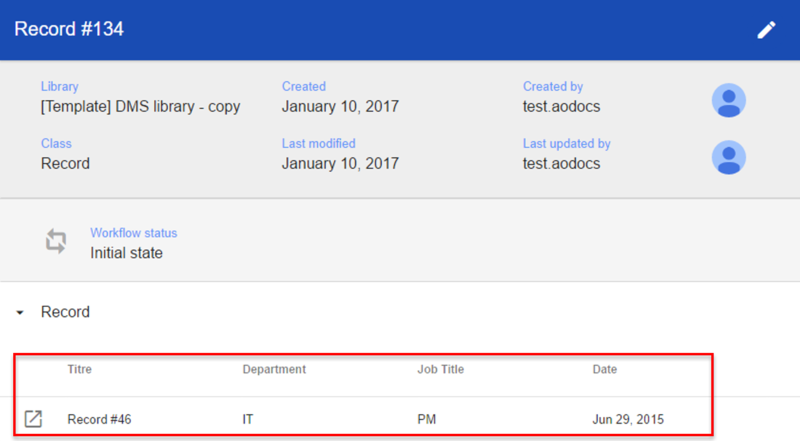 As an administrator, you can localize the format of the AODocs properties and dates in workflow emails according to a selected language. 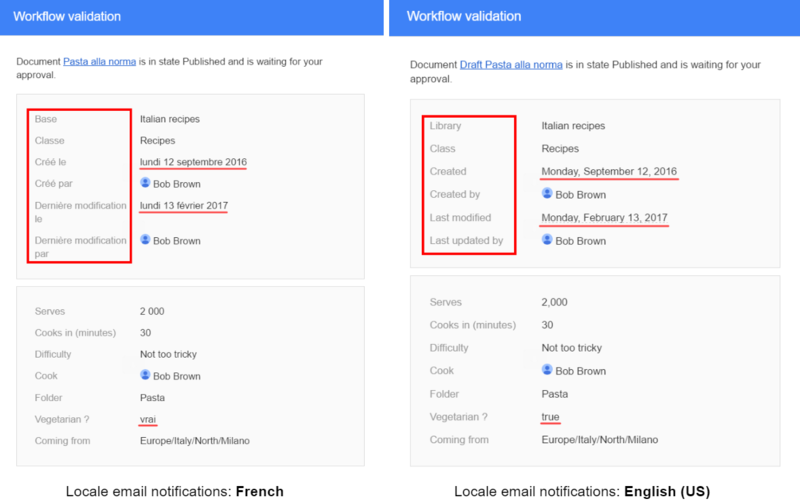 Users from all over the world can now receive easier to read workflow notification emails, with labels, dates and numbers formatted in their local language. In the properties tab, a description (or tooltip) can now be configured for all custom properties. End users can then mouse over a “?” icon and read the description. Note: Tooltips are only available in the AODocs interface. At the document level, you can now customize the Relation panel and display more information directly in the AODocs document. 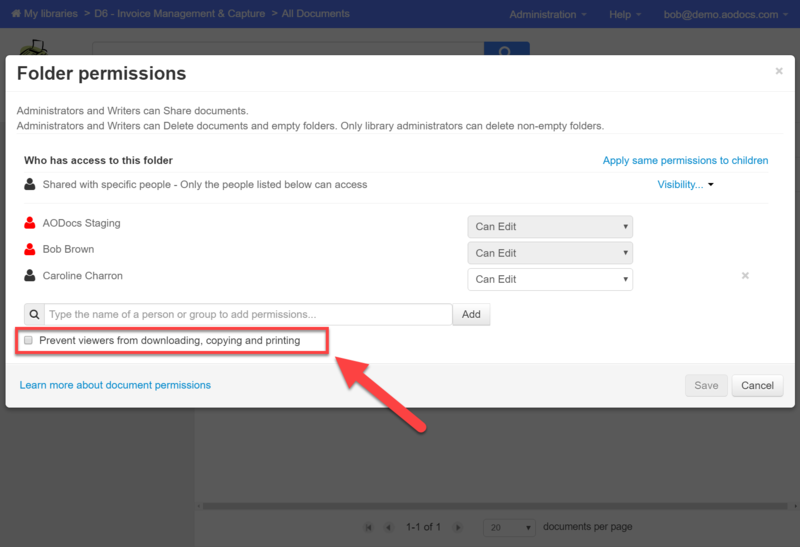 The properties of the related documents displayed can be configured by the library administrator. We are happy to announce the release of the most requested feature of our Community: library administrators are now able to select which users can see specific list views. 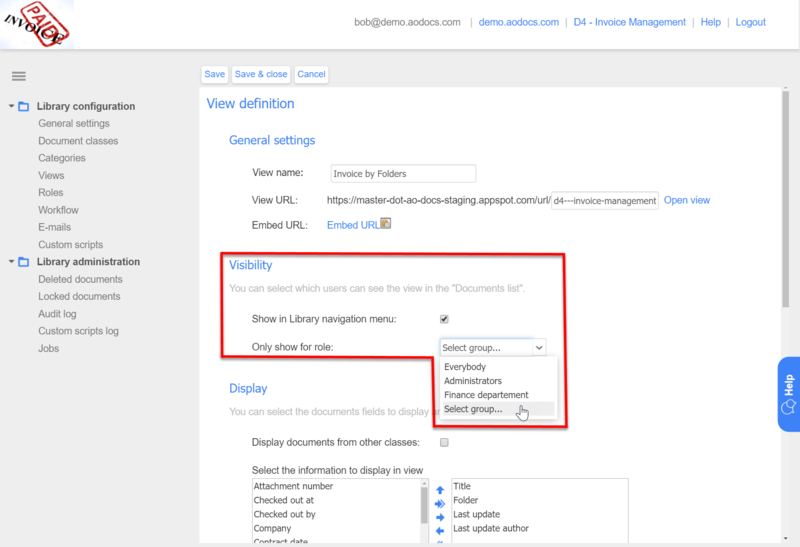 The “Version” menu allows the user to find and manage the list of document versions. This “Version” tab is now a specific tab located on the side bar of the document, below the properties tab. 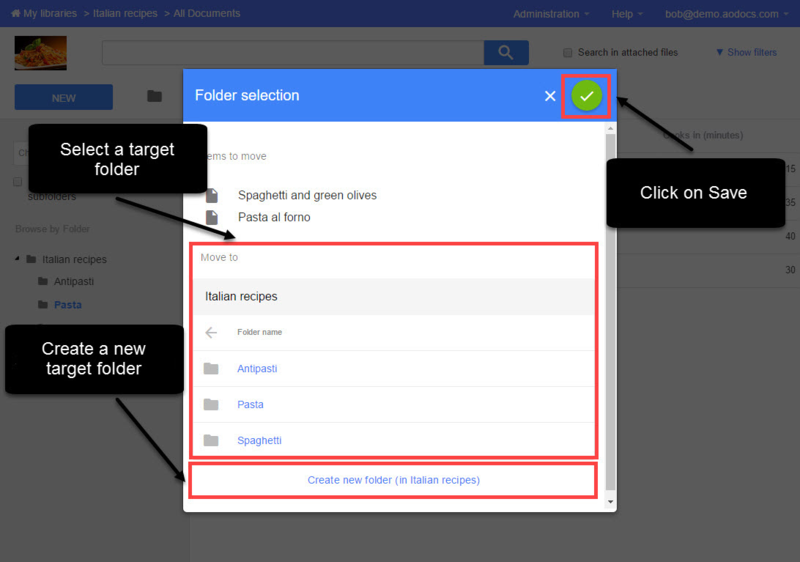 Clicking on the folder icon allows library contributors to move a document or a folder into another specific folder. From the revamped pop-up, you can select the target folder in which you want to put your items. You can also create new folders inside the current library. With this release, AODocs Legacy editor will be unavailable for selection in the class’ Editor. - Existing libraries with Legacy editor will still work and keep the Legacy editor. - Any new library will have the Configurable editor by default.